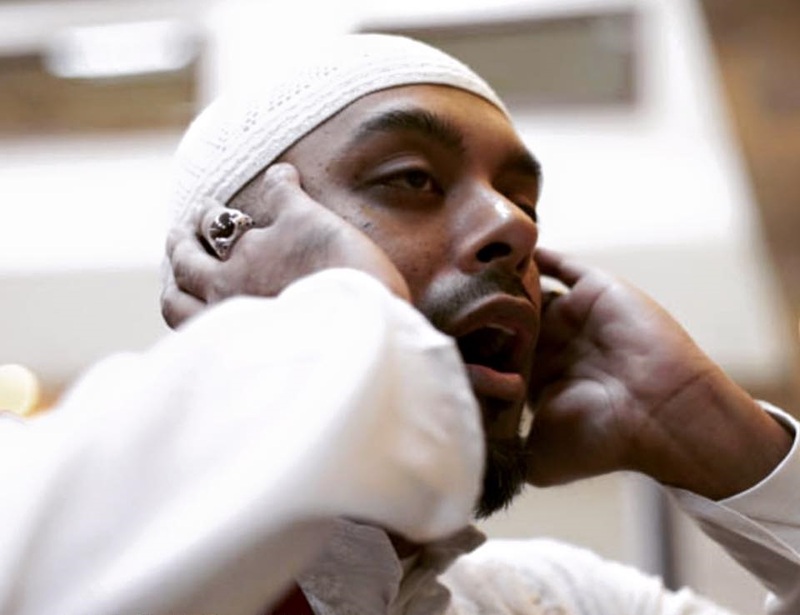 Jameel Syed also known as “The Muaddhin” who earned the title ’50 mosque man’ by NBC News upon completion of his historic journey was the first person on record to make the call to prayer (adhan) in all 50 states of the United States of America. He is currently, again, undertaking a journey in efforts of making 50 presentations across the globe to share his experiences from his historic journey. 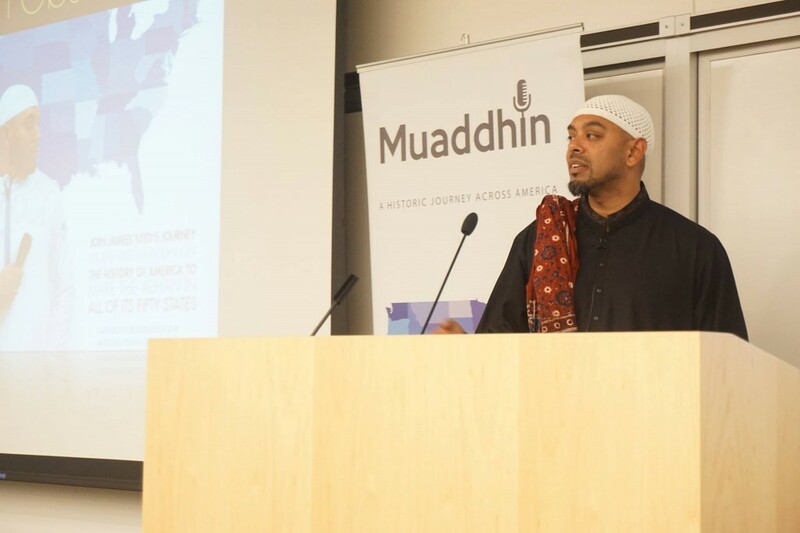 I’m a Muslim American traveller/executive/author and Muaddhin, born and raised in Ann Arbor, Michigan to immigrant parents that have roots from Hyderabad, India, but emigrated from Karachi, Pakistan in the early 70’s. I completed all of my formal education at The University of Michigan focusing on Kinesiology and Strategic Marketing Management. I trained in the traditional Islamic sciences under my late father Dr. Salam A. Syed, Sheikh Mwafak Al-ghalaeini and Imam Isa Abdul Basir accruing an ijaza (Certification) in Tajweed and the Far’id and sunnan related to the Adhan. 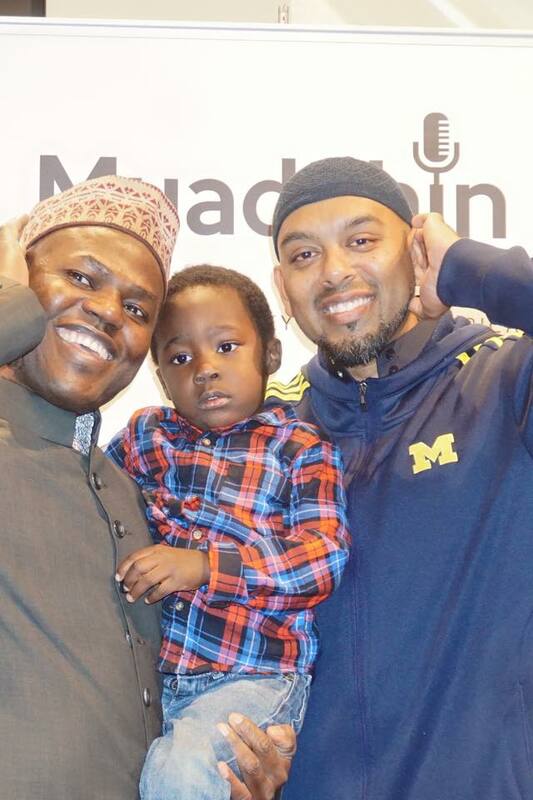 I currently reside in Auburn Hills, Michigan with my wife Maria and two beautiful children, Fatima & Jibril. What made you undertake this historic journey? When a person turns 40, they begin to think about their past, What has been achieved and what is left to be done. A lot of questions start to pop-up. What have I done to leave my mark on this world? Have I truly championed the character of the Prophet (peace and blessings be upon him)? Have I achieved everything that my potential has to offer? 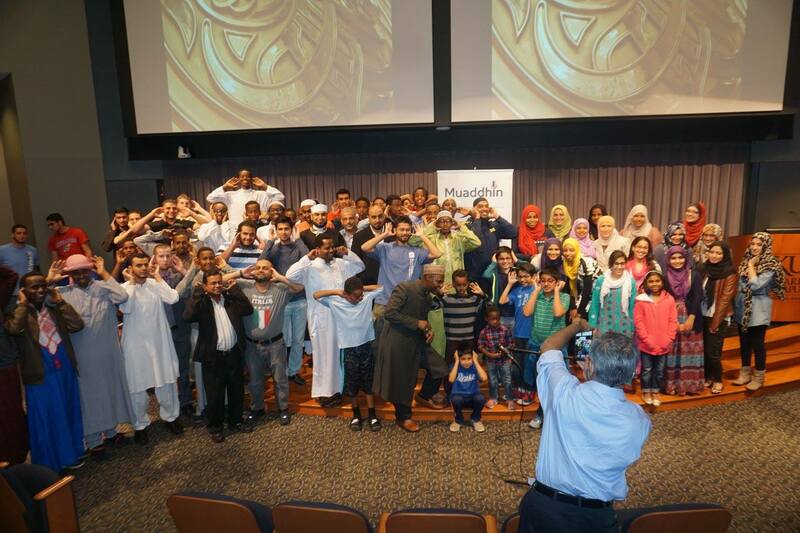 Have I done right by the community of Muslims in America and abroad? Have I’ve done right by the community of humanity at large? Have I used the gifts and resources that were allotted to me in the best manner possible? And ultimately have I done enough to please my Lord? These questions are very, very heavy and they begin to weigh on me day in and day out. So, I began to search for the answers. Consultations with others, consultation with myself and ultimately through the process of Isthikharah – Tradition of the Prophet (Peace Be Upon Hims) and consultation with the supreme being – Allah. My father left a tremendous legacy; he was a professor of microbiology at the University of Michigan, an internationally published research scientist and a devoted personality to the tradition of the Prophet (peace and blessings be upon him). In November 2003, during the month of Ramadan, he passed away while prostrating in the second rakat in the second sajdah of his sunnah prayer, after Isha and before Taraweeh. This bittersweet experience left me forever changed and I see it as an ongoing responsibility to continue to add good deeds to his account and fulfill the duty of “the righteous son” – Sadaqah Jariyah. I owe it to him. Intentions – Making sure that I did this for the right reason. This was meant to be an active worship solely to seek the pleasure of Allah and to praise His Prophet (peace and blessings be upon him). There are several distractions that would take me away from that purpose so it was very important to surround myself with good people who would constantly remind me of the purpose. Family – My wife had surgery the day that I was leaving. People we’re coming in the house as I was packing and leaving. I’ve never been away from my family for that long of a period so staying away from them for that long was definitely a trial. 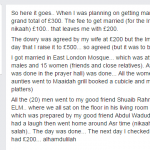 My sister with the grace of Allah – Most High even got married during my journey. 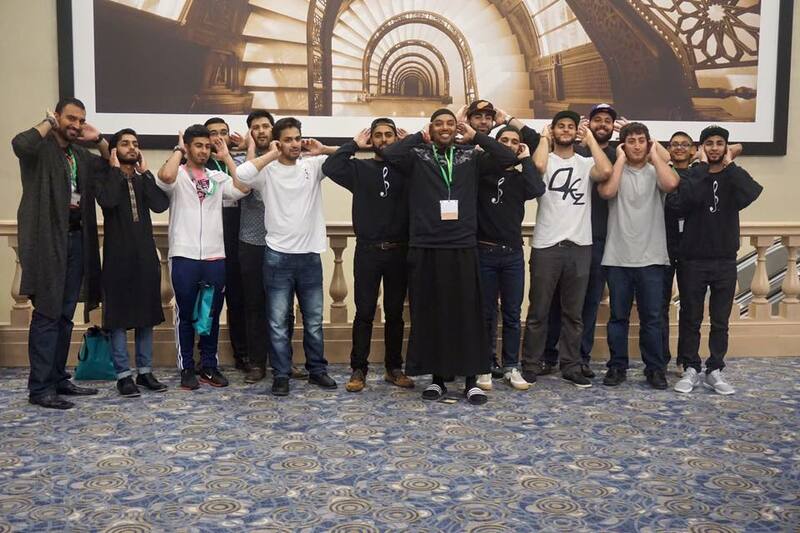 Hate mail – Before I even began the trip, the Council of the American Islamic relations posted my journey on their Facebook page which fostered a lot of attention. Unfortunately, it also grabbed the attention of some extreme right wing individuals that began to send hate mail through the general email address. As a normal person that has never enjoyed “celebrity status” this was very new to me and my family. It would be very concerning that we will be out there in the open navigating across 50 states. However, once the journey began, there was not one negative email or sentiment from any person outside of the Islamic faith. 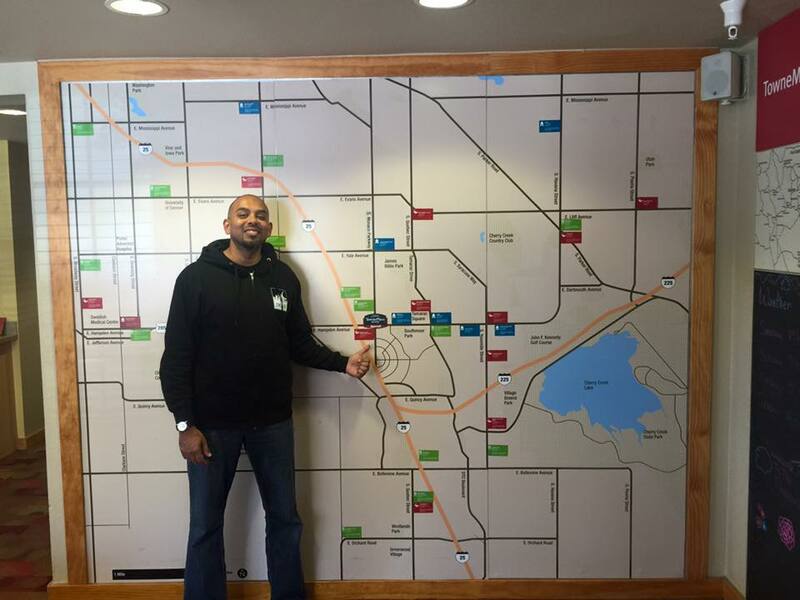 Securing Venues – We did not have a masjid secured in every state. In states where there are many masajid, it wasn’t so much a problem, because somebody was going to give you access. But in states where there were only a few or one masjid, it was mission critical to gain permission for a visit. We were rejected a total of three times and even once in person. Partly, because they knew the press may come with me and they did not know how that would be received because of Islamophobia being real in their neighborhoods. I cannot begin to tell you how many people came together to find venues for me across the United States. The biggest contributions came from Ayman Abu Rahma of Life for Relief and Development, Hena Zuberi from my Muslim Matters family and Dr. Sohaib Mohiuddin of the Kansas City Muslim community. Lack of sleep – We were always on the run. Running from one venue to the other. As soon as we got into the car, it was the protocol of contacting the next few venues and confirming with them, jumping on the phone with members of the media or trying to secure funds so we can keep the project moving. There were so many times that we reached our hotel dead tired knowing that we were only going to be in there for a few hours. That knowledge itself, robbed us from any sleep. The average sleep time with between 3 1/2 to 5 hours. What kept us moving was adrenaline and the multitasking element that never allowed our minds to rest. Time management, task management, ability to adapt and project for the future became a way of life. We would anticipate challenges and catastrophe in our guts, which kept hour energy level so high. 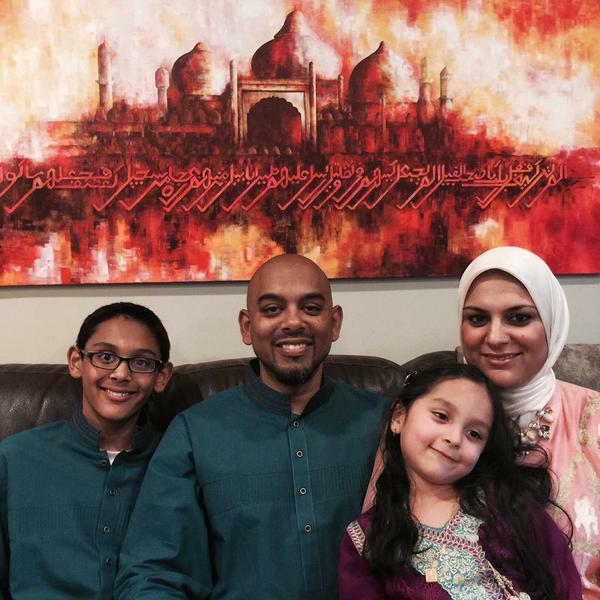 What did you learn about the American Muslim community as a whole ? We are everywhere! Healthcare practitioners, practitioners, educators, civil service agents, taxi divers, construction workers, entrepreneurs. You name it and we are in that field. What is also noteworthy is that our community boasts true socio-economic diversity. You will find that Muslims come in all shapes, sizes and colors. One of the major insights that I gained as a result of visiting so many mosques was our ability to actually meet and physically see several members of the community and it is one of the God’s wonders how he has created us so diverse and yet so unified. Everybody’s got a story to tell and I met so many people along the way. On my trip, I conversed with everybody that I came across, in the airports, in the hotels, in the mosque etc. Once you have the opportunity to engage individuals and ask them about themselves, their involvement in their local communities and their contribution to society at large, You realize how much we are integrated into society. People need to make it a point to go out and express all of the good work that is being done across all sectors: institutionally and individually. The most gratifying find for me however was to find the reverence, respect and admiration that they had for the Prophet (peace and blessings be upon him). When I read his last sermon, regardless of where I was geographically and how big the community was and what their ethnic backgrounds were, I found this inherent deep love that everyone shared for the beloved. As real as Islamophobia is and its impact on our community, the timeless words of the messenger of Allah (peace and blessings be upon him) are just as real and command much more gravity. I found that when the last sermon was read to the people, it had the effect for all individuals in the audience to regain confidence in who they are. I saw men and women of all ages carry the expression of pride and hope. In a time where people are looking for complex solutions to complex problems, The words and the advice of Sayyidina Muhammad Mustafa (peace and blessings be upon him) is most profound and effective. What are your thoughts about the future about Islam in America? The population is growing at a tremendous pace. People who hate do so because of fear which is driven mainly because of ignorance, but this is still a society that relies on individual research and knowledge. Every time a person who harbors prejudice against Islam engages with the Muslim that represents the true values of our religion, it causes major conflict within the psyche of that person. That’s when they are presented with a choice for a different lifestyle, one that offers peace and tranquility to the soul and so the population continues to grow.Muslims have always and will continue to contribute towards the betterment of society at large, but now you are seen a much more physical presence. News anchors, celebrities, politicians and scholars. The good word that is being done is starting to become much more visible and is rightly being attributed towards ambassadors of goodwill. If you could give one advice to Muslims living in the West, what would it be? Don’t just talk about what you believe in, but go out there and engage. Meet somebody and show them through your actions, deeds and good manners what Islam is. The Messenger of Allah (peace and blessings be upon him) was the best ambassador of goodwill the world has ever known. Muslims, not just those who live in the West, but the world over need to familiarize themselves with the traditions and etiquette of interacting with people and adopt those best practices. People, be it Muslim or non-Muslims need to stop just talking about what they believe in and start showing it through their actions. Be the first to give someone a beautiful smile, open a door, feed a hungry person, help an elderly person with their groceries. Your manners will speak louder than your words. Tell me more about the fall trip.. This fall will begin the first of 50 presentations that will be made in efforts to help people see what I saw and experience what I experienced. 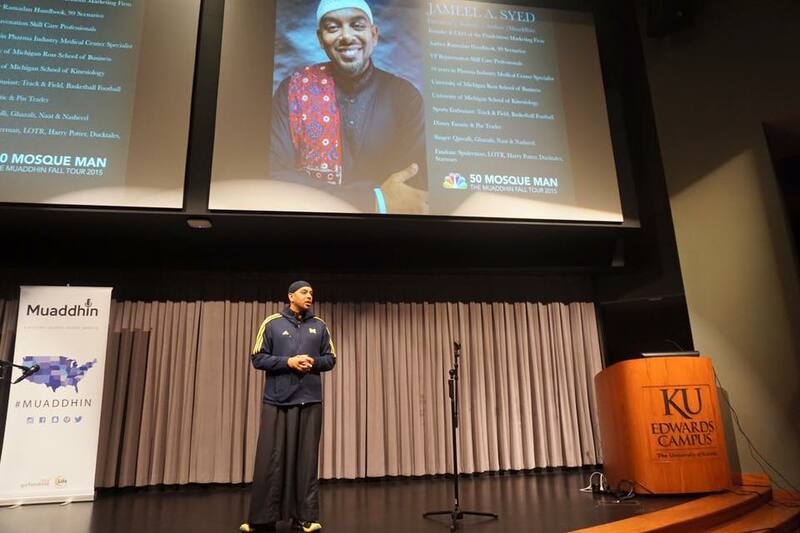 The name of the tour is coined after the title NBC gave me upon completing my historic trip across the USA – “The 50 Mosque Man” 2015 Fall Tour – A unique opportunity to bring Muslim American history into select communities with a chance to learn about other Muslim communities around America, learn about the final Message of The Prophet Muhammad (peace and blessings be upon him) and the details surrounding what it took to make this trip happen. Surrounding the main event will be several mini-events that will give the community an opportunity to gain individual access and a chance for me to customize my message in accordance to the audience. 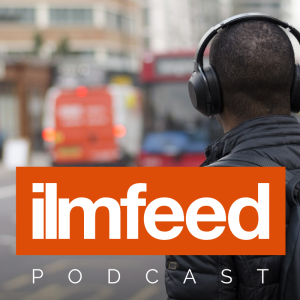 IlmFeed will also be exclusively sharing with its readers some of Jameel’s experiences throughout his journey.